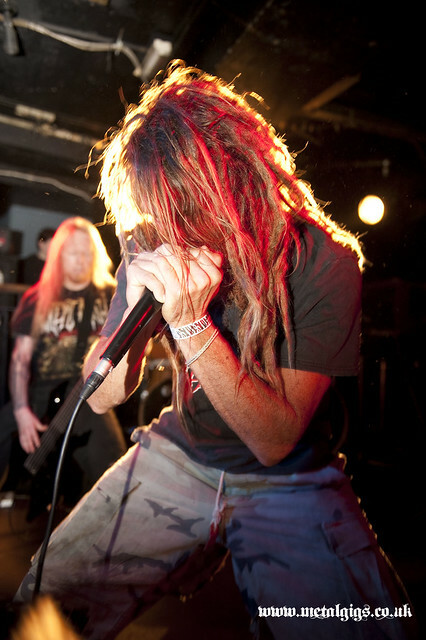 Eyehategod have announced 3 UK dates for August 2012. Support comes from the mighty Ramesses and Dopefight. 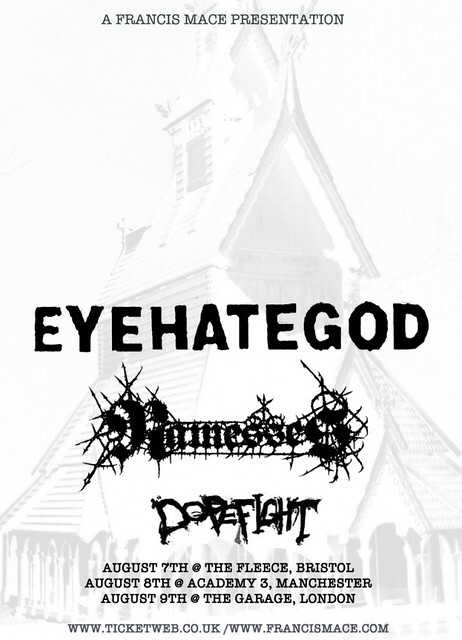 You can find links to all the gigs, and tickets on the eyehategod page here. With Suffocation's London date falling on a weekday it was always questionable whether I was going to make it on time. Doors were at 5.30 and not living in London this was going to be a mission. 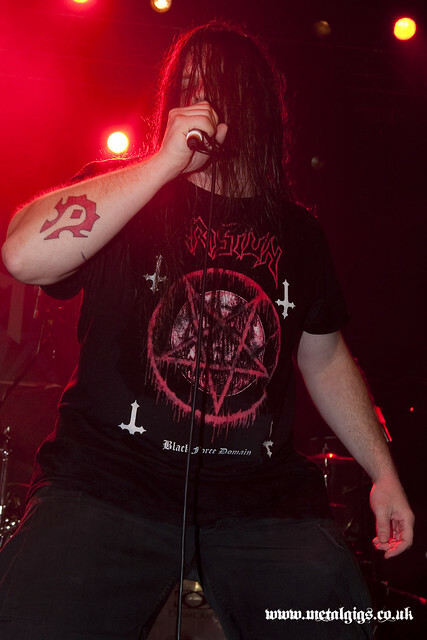 Unfortunately with full time work commitments our reviewer who is far more familiar with all the bands playing was unable to get away from work, and I arrived late having missed openers Carceri. After seeing Kylesa play a blinding set at The Haunt and experiencing its seriously awesome sound system for the first time, there was no questions asked at all, we had to go and see Earth play there. 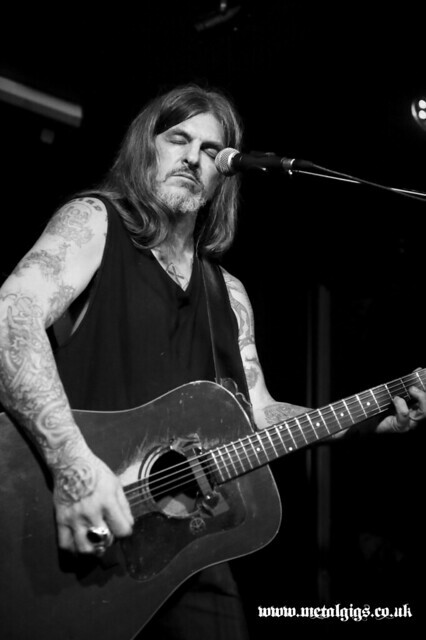 Kylesa was my first time at The Haunt and I fell straight in love with the venue. It's small and intimate, but unlike so many small venues they've actually spent some money on the P.A. system, and it sounds amazing. 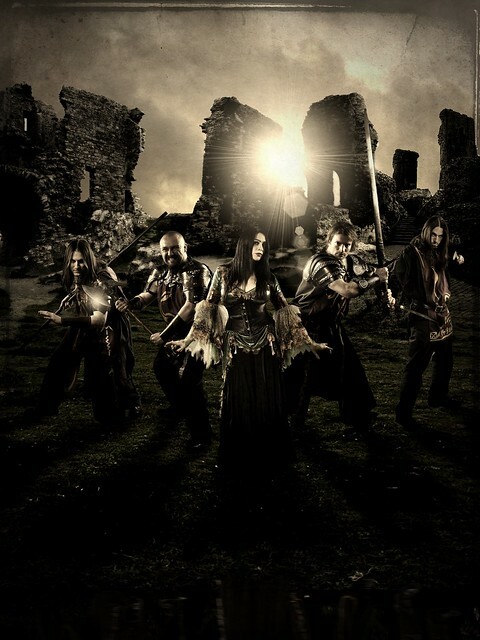 However, the mood is buoyant as London – five-piece The Mariana Hollow prepare to open for fellow British metallers Pythia. Like the headliners, the band have recently released their second album. 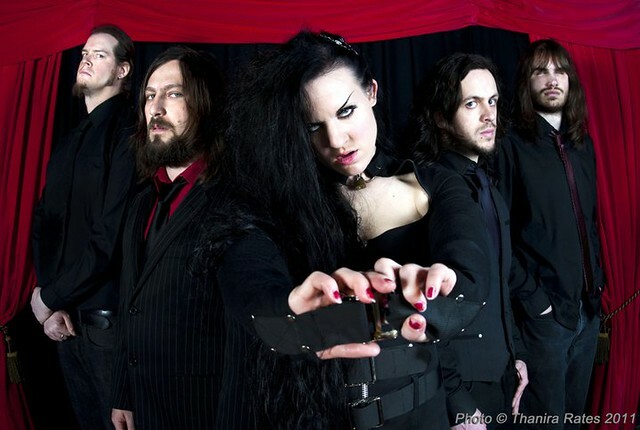 “Velvet Black Sky” is the follow-up to their debut, 2009's “Coma Heart”, which was mixed by Chris Sheldon (Biffy Clyro, Foo Fighters, Skunk Anansie, Anthrax). While drummer Adam Stanley and lead guitarist Danny Russell handle another interview, singer Rebecca “Spinky” Spinks, rhythm guitarist Richie Walden and (lead!) bassist Scott Chesworth discuss not being pigeon-holed, tight budgets, taking risks...and why their sticks-man's bum deserves it's own Facebook page! It may seem a bit odd to do an interview about a music venue, but they seem to be a bit hit and miss all around the UK at the moment. Many great venues have closed their doors over the last few years so it's great when new ones open their doors to the Metal world. If you're not a regular to Camden you may not have heard of The Black Heart pub. It's a relatively new venue in the London metal scene, tucked in an alleyway just behind the infamous Underworld venue. 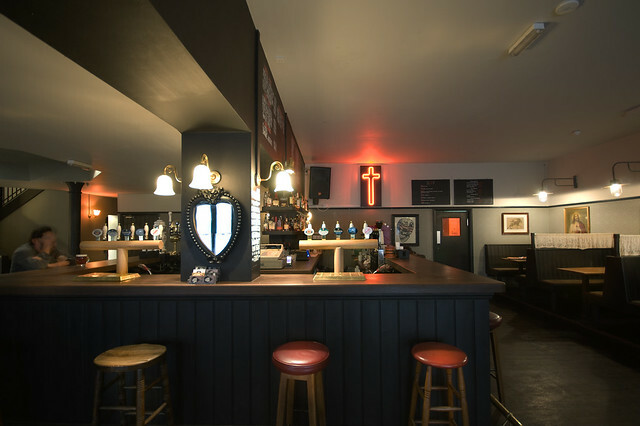 They've got some pretty good things on the horizon so we ventured to have a pint with the bar manager Josh and find out more about this new venue and upcoming gigs. Arriving late I only managed to catch the last song of Job For A Cowboy, but not being a fan this was no great loss. They had however drawn a large crowd, the Forum was already pretty heaving and the queue outside was winding down and around the building. 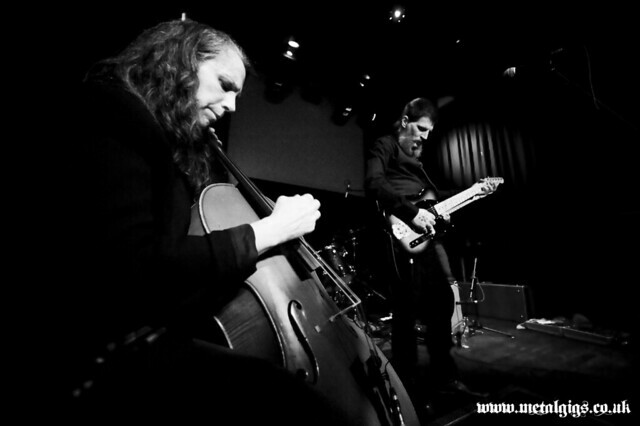 Pythia recently had a record release gig at London's Borderline for new album The Serpent's Curse and you can check out the review of that here. Prior to the gig Emily took time out to catch up with our scribe Nick. Bill Shankly, the legendary Liverpool FC manager, once claimed football is not a matter of life or death, it's more important than that. Maybe the same applies to heavy metal.